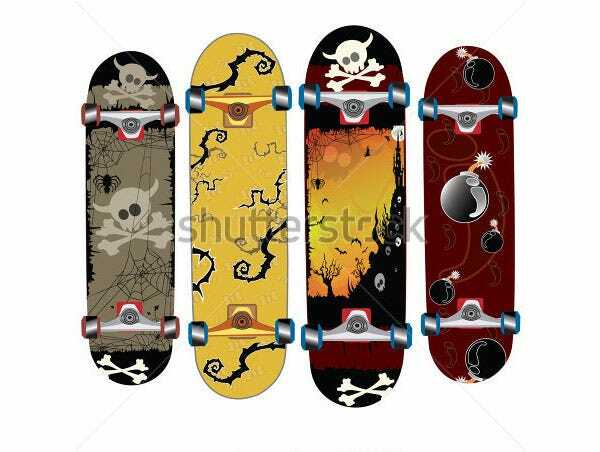 Skateboards with boring designs are definitely not suitable for the adventurous sport. 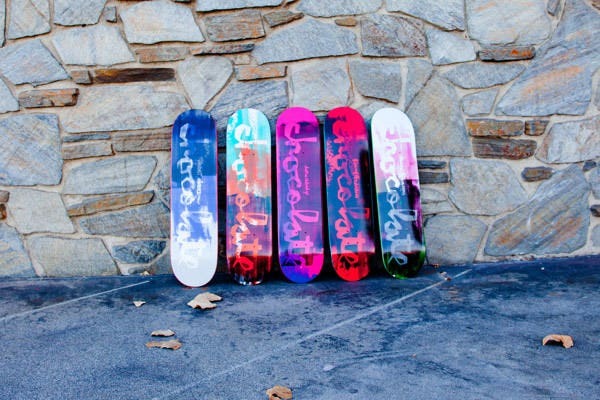 Hence, skateboard fanatics prefer to give their sporting boards a unique and custom appeal. 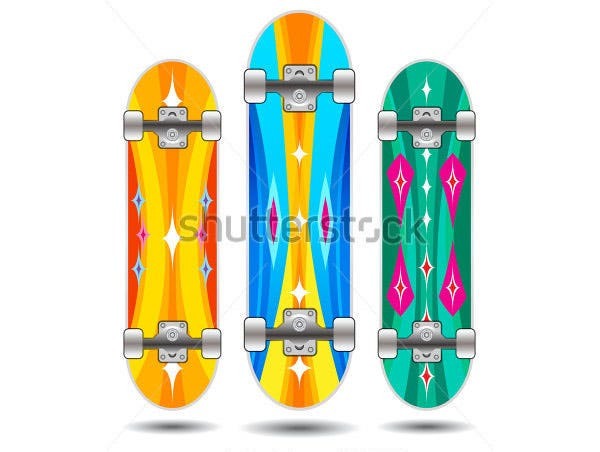 Skateboards are available in different sizes, shapes and colors. 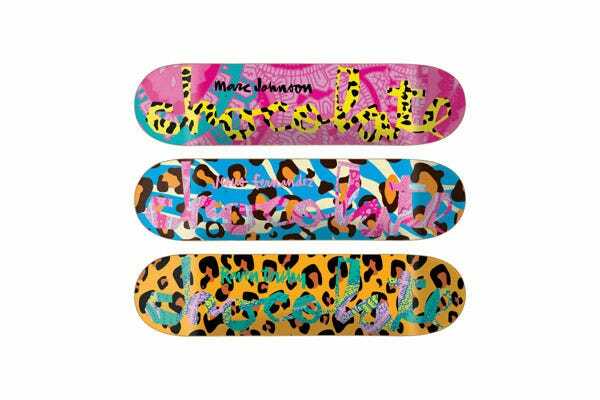 However, you can pose yourself as a professional by adding a personalized feel to your board by adding attractive design patterns and logos. 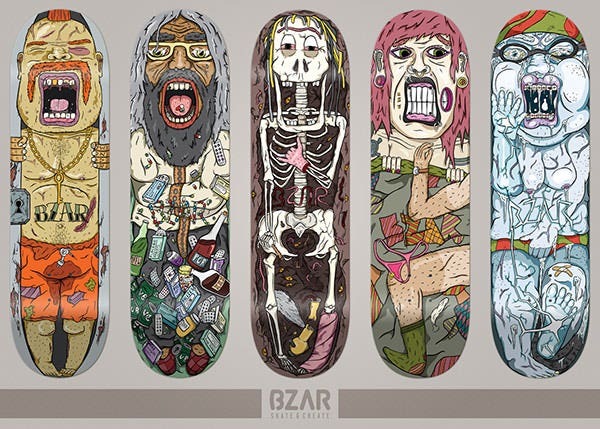 You can easily find skateboard designs based on different themes. 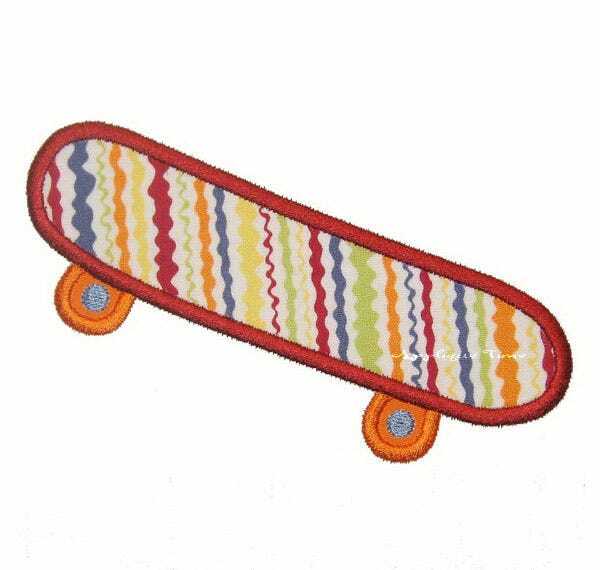 By adding an appropriate design to your skateboard, you can exhibit your personality to the people who see you perform skateboard stunts. 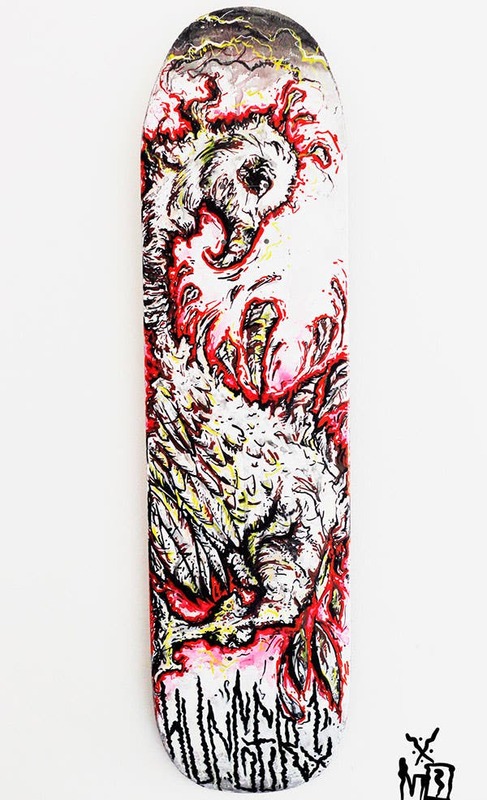 Colorful and bright, this skateboard design has a skull along with the image of a city and firethorns. 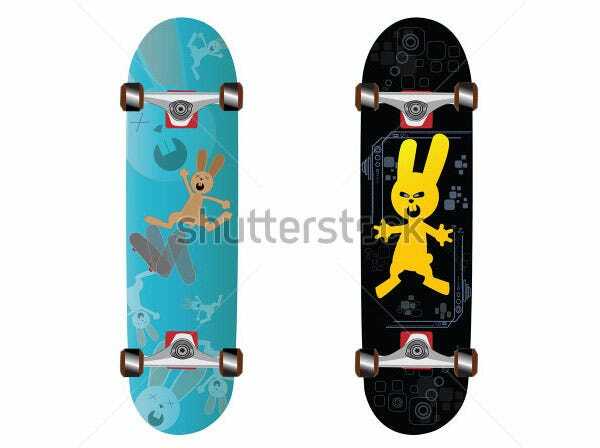 There are two prominent colors and the design would be love by boys. 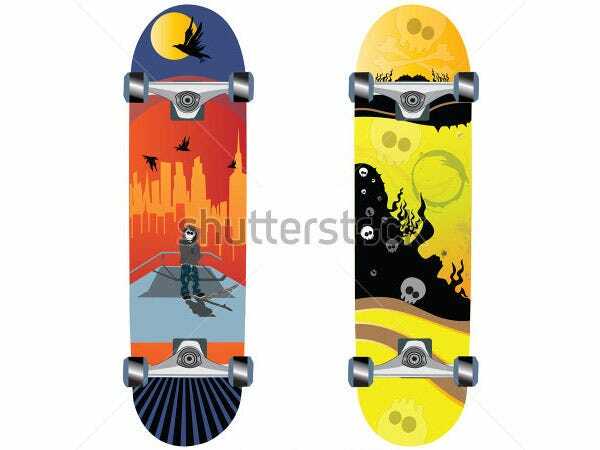 If you are looking for a big collection of skateboard creative template designs, then this is a great choice. 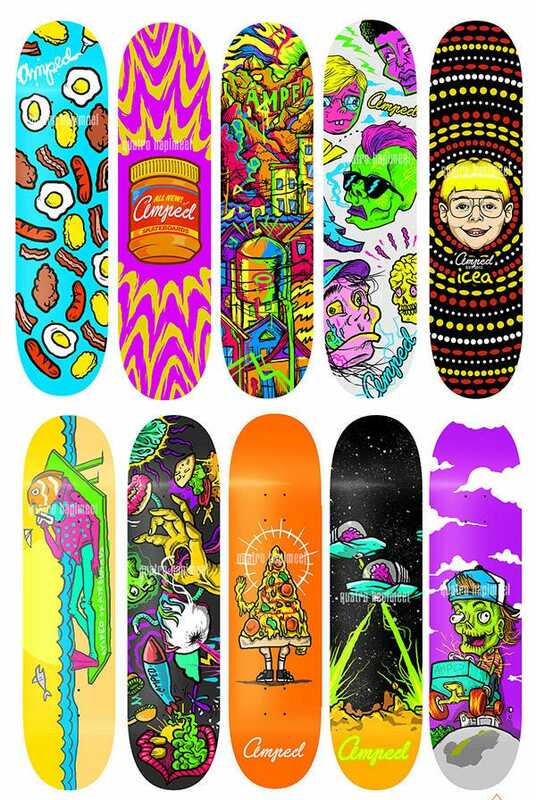 There are 10 designs and each one is different from the others. 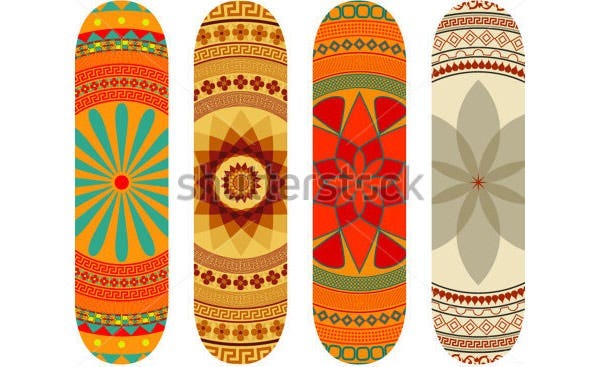 A beautiful tribal design, this is design has been crafted beautifully and would be like by boys and girls both. Red is the most prominent colors, though there are other shades too. The design resembles as if someone is trapped into something. Characters are trapped within something like jail, underground, frozen water. 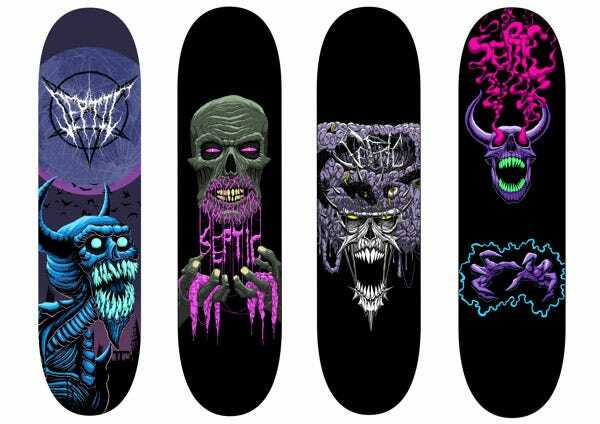 This unique collection has a set of 5 designs. 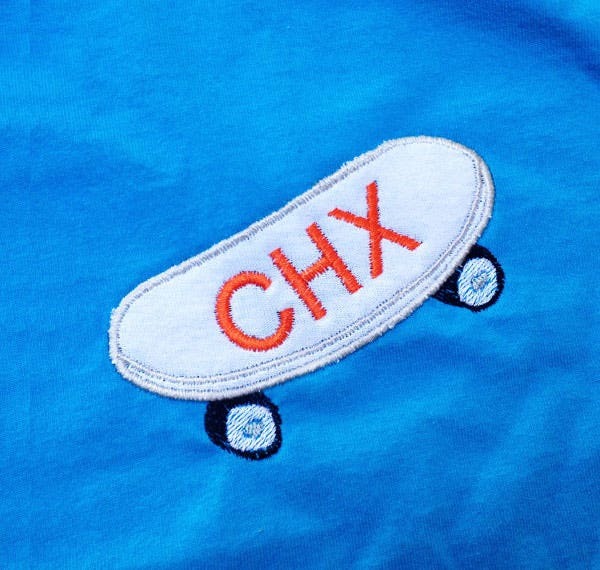 This has a heavily distressed design, and has been created in hand. 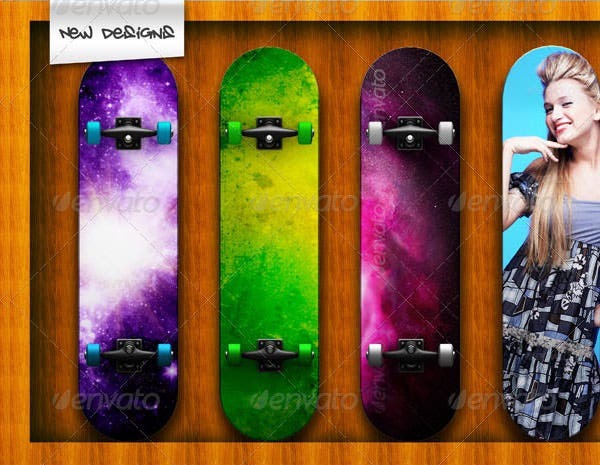 A set of 3 designs, this skateboard creative template design is a very popular one. It’s available in high resolution. 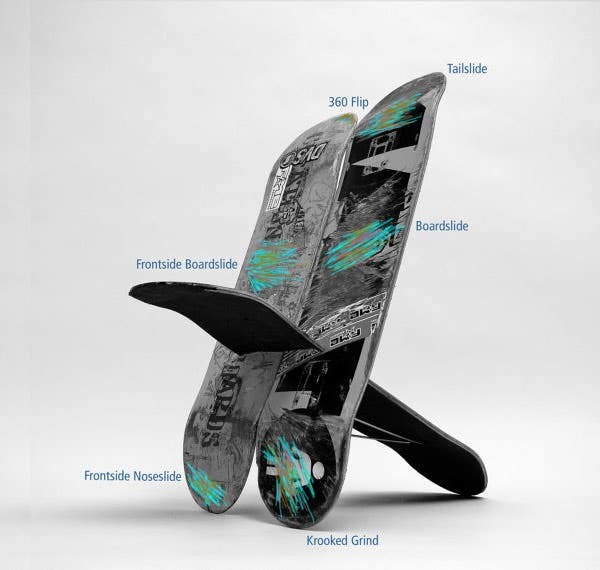 This skateboard has a design that makes it resemble a surfer. 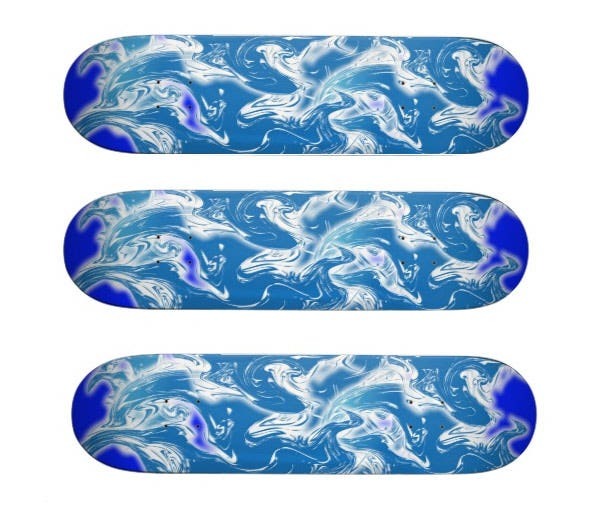 It’s highly polished and smooth and is a perfect choice for someone looking for simple and no-design skateboard. 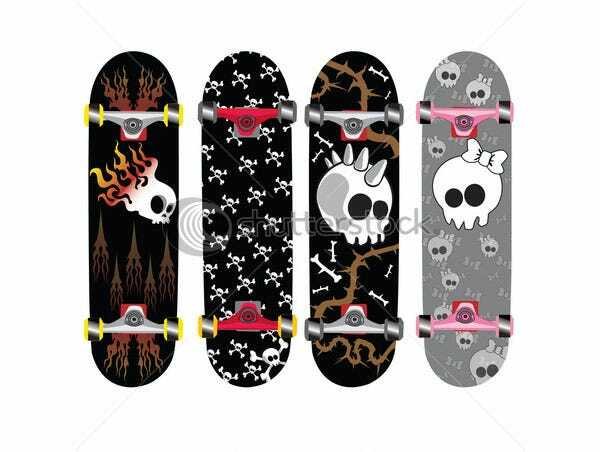 A set of 4 skateboard designs, this is yet another skull theme that you can choose. 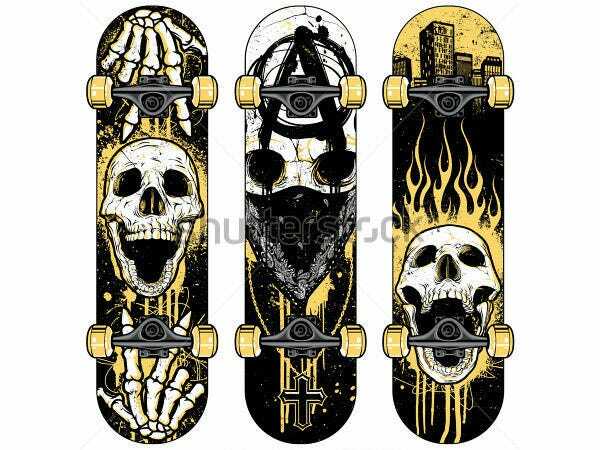 Each of the design is different and there is one with spiders and another with bombs. 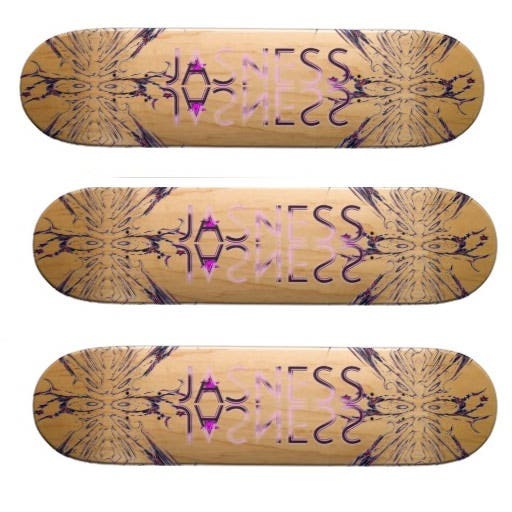 Simple and clean, this design is sure to make your skateboard look different from the rest. Social circle inspired design; this design can be edited by using logos, monograms and the likes. 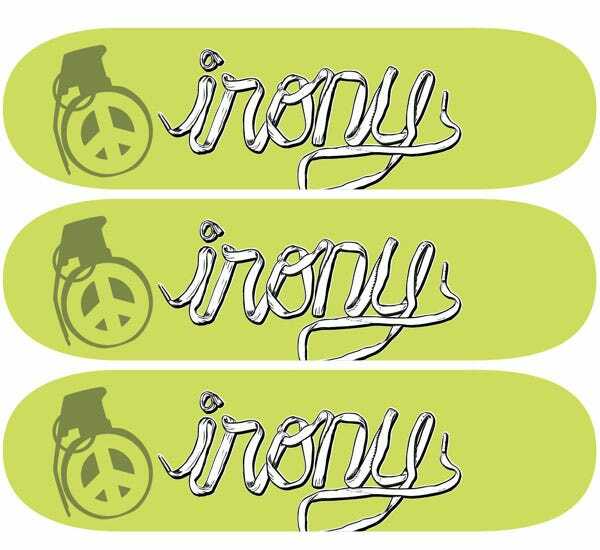 Colorful and extremely bright, this design is such that it would make your skateboard highly noticeable. 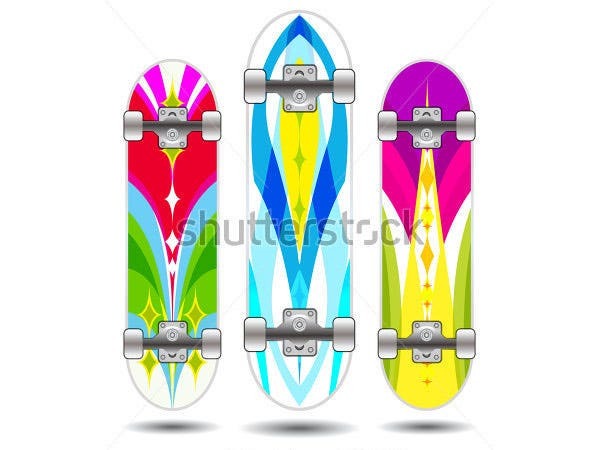 The template is available in high resolution and in different sizes to fit your needs. 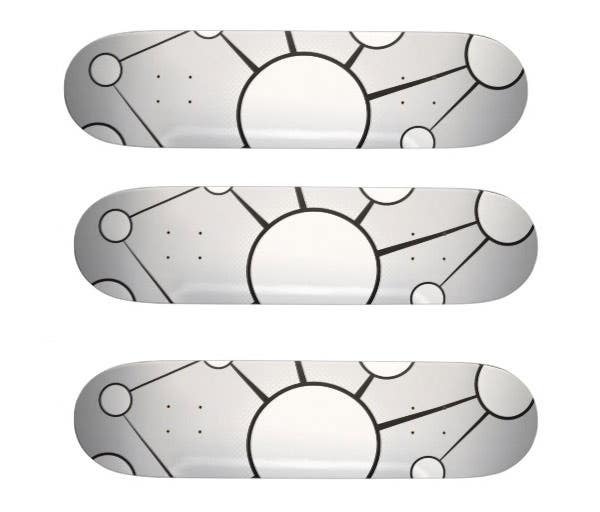 You are sure to say wow when you see this design. 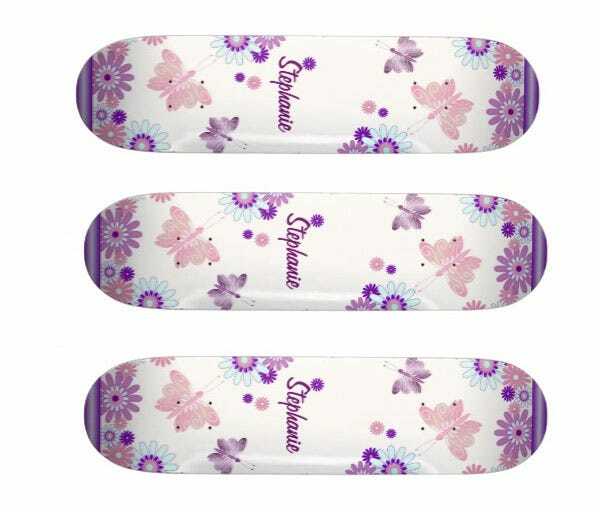 Perfect for all the tomboys out there, these skateboards are pink in color and have skulls and a smokey effect. Love chocolates? 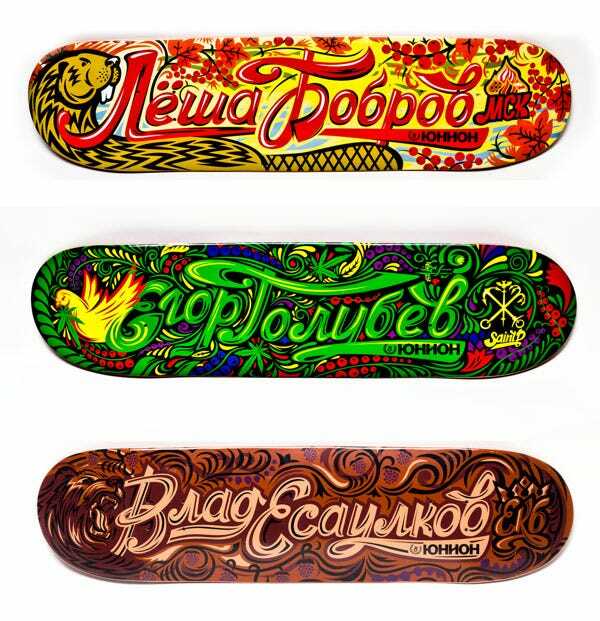 Show that to the world with one of these skateboards. 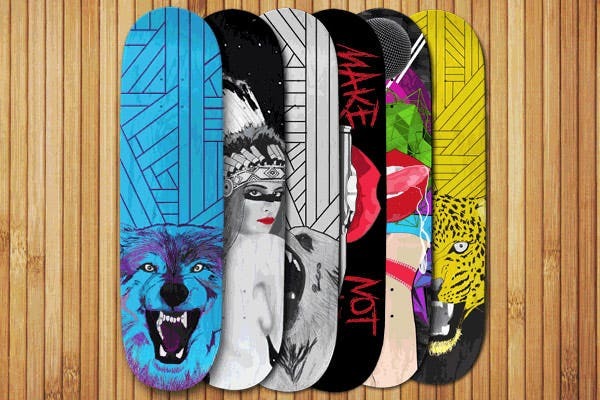 There are different designs and colors to choose from and each one is one of its kinds. 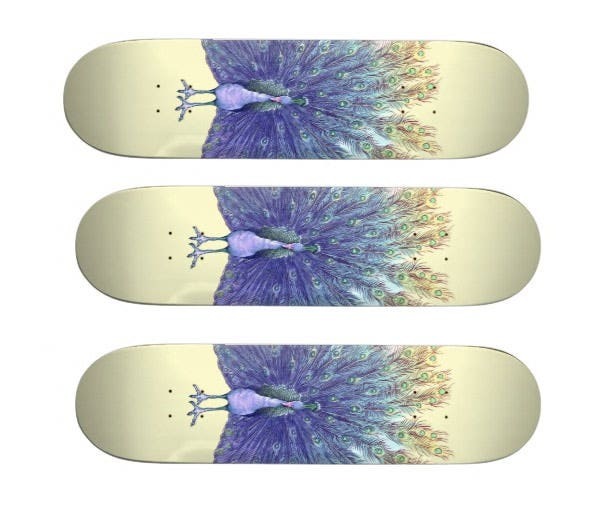 This is a custom series and so have a unique design. Abstract in nature, this design would look attractive even from far-off distances. It has a rough finish and that is what makes it unique. 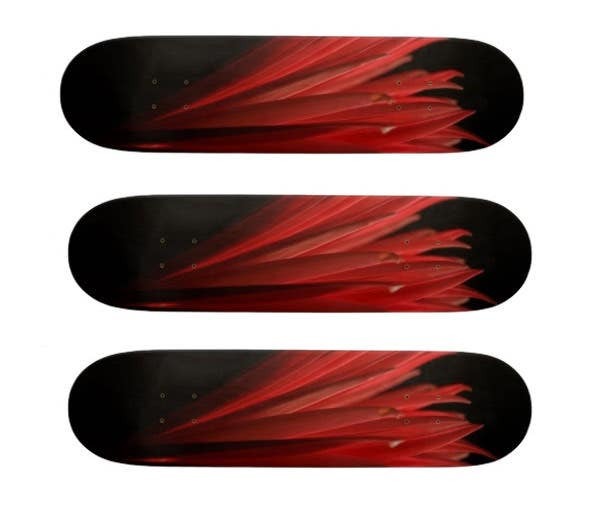 These fire themed skateboards are very popular as these are bright and available in a choice of three different colors. 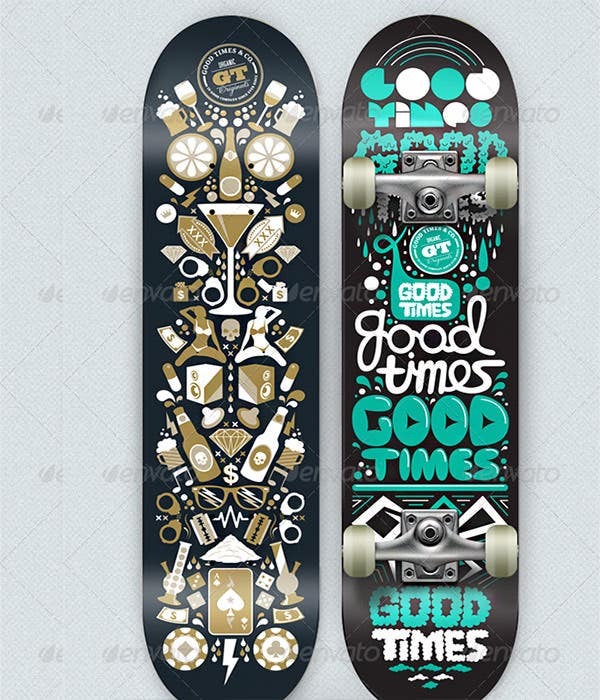 The design is available in high resolution and is varied sizes. Available in the shade of olive green, if you are looking for minimalistic design, this is another great choice which you have. The design can be made to fit several sizes. Another one for chocolate lovers, these too have chocolate written on top and there is choice of several combination colors. All look bright and attractive. 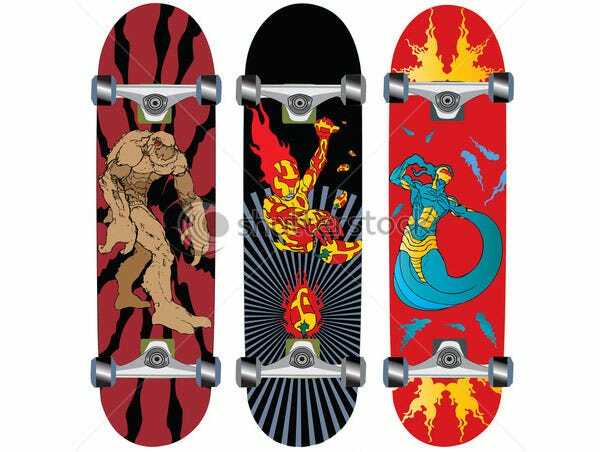 If you love superheros, you can choose from various superhero skateboard designs. 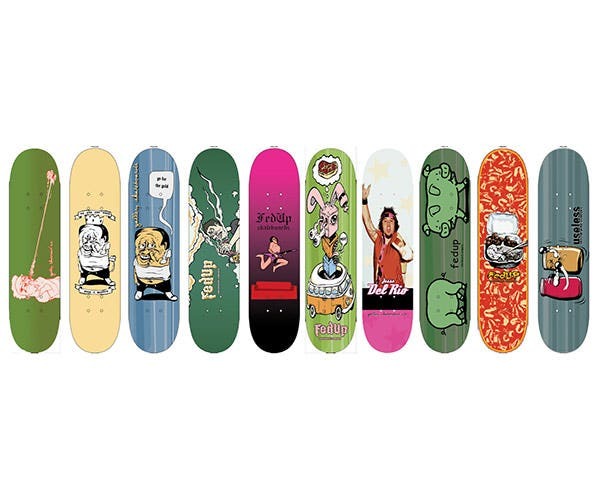 If you love comics or cartoons, you can funny comic related design to your skateboard. 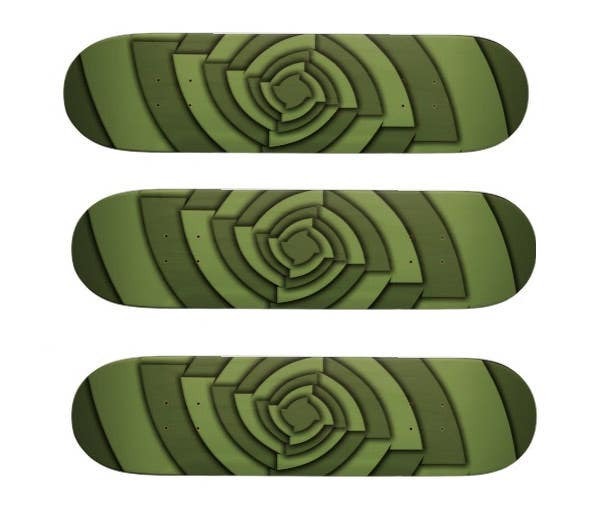 You can easily skateboard designs from a local sports shop. 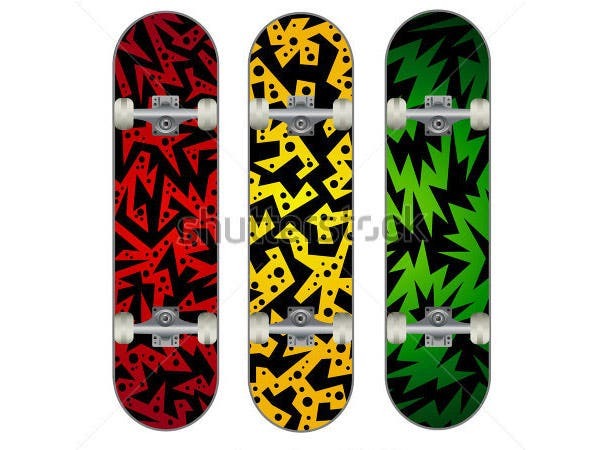 In the market, you will be to find skateboards with special patterns but such for skateboards you will have to shell out more money. Also, at the local store, it may not be easy to find numerous choices like the ones you may find on the web. 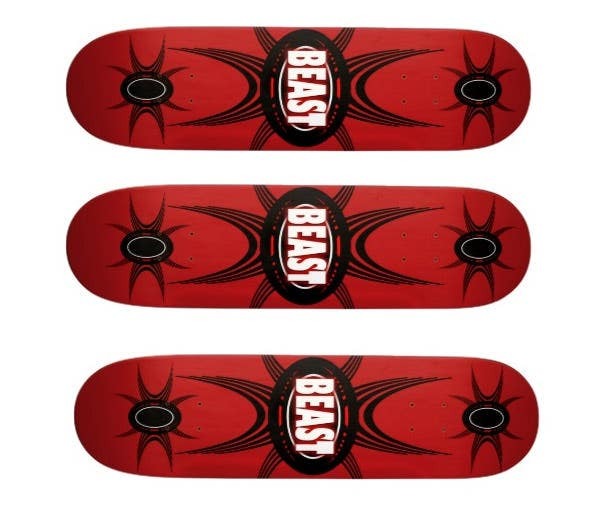 Using the online skateboard designs is a very cost-effective way of decorating you board. 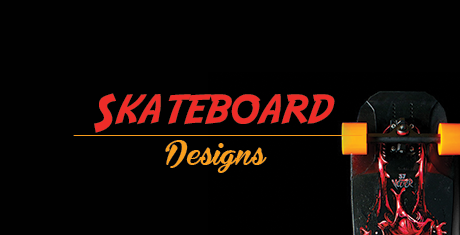 You can spend an hour or two to browse through the different design options that are available for free download. 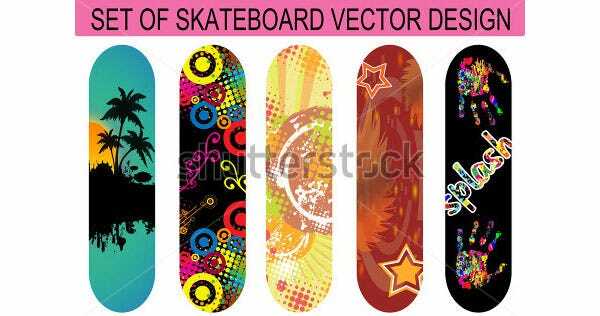 There are thousands of cool skateboard designs in downloadable format that are available for skateboards of various sizes and shapes. 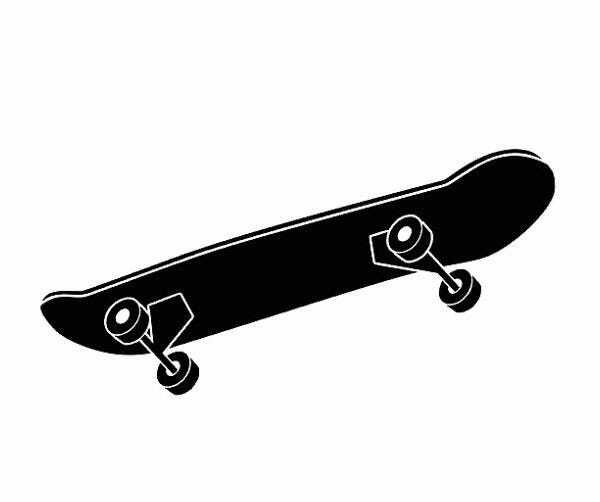 You can easily download and print them to paste it on to your skateboard. 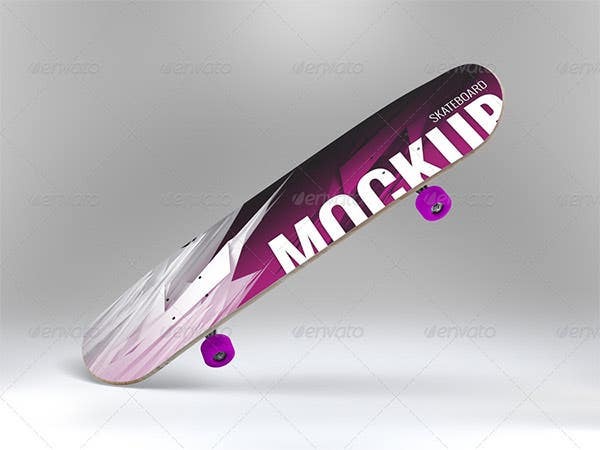 All these skateboard creative template design have an attractive look and perfect for all your kickflips on the streets. With so many choices, you would surely find one that is as per your preferences.